Remontech is a family business. As such, you can expect to always deal with one of us whenever you contact us. You can also check out the publications and awards that Remontech and PHOTO-NET have received. Here is a brief bio on Dr. Jorge Abeid, Ph.D.
Dr. Jorge Abeid is a Civil Engineer with a lifetime of dedication to the Construction Project Management environment. He has a Master of Science degree in Civil Engineering, and PHOTO-NET was the subject of his Ph.D. thesis submitted to the Civil and Architectural Engineering Department of Illinois Institute of Technology (Chicago-USA) in May of 2000. The main objective of this project was to build an integrated system that could link a work schedule to a set of pictures of the construction activities. It would allow a manager to follow the progress of the construction, as it would show a dynamic schedule next to a synchronized time-lapse movie of what really happened on the site. PHOTO-NET evolved into PHOTO-NET II by the adoption of web cameras and by having the software interpret the web site generated by the camera system. The images were then collected in a certain frame rate. Another new feature of PHOTO-NET II was the capability to deal with multiple cameras. The upgrading of PHOTO-NET to PHOTO-NET II was the subject of a Post Doctoral program by Dr. Jorge Abeid at the Faculty of Civil and Environmental Engineering at The University of Western Ontario during 2001/2002. The post doctoral program was supported partially by NSERC (National Sciences and Engineering Research Council of Canada) and Hayman Construction Inc. , one of the oldest construction companies in Canada . Cesar Abeid is a certified Project Management Professional and has a B.E.Sc. in Electrical Engineering from the The University of Western Ontario. 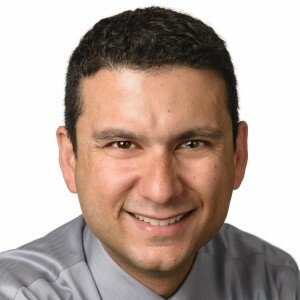 Cesar joined Remontech in 2004 as a project manager, later becoming VP Client Services. He has successfully implemented and managed monitoring projects throughout Canada, the United States, Brazil, and Peru. He has a passion for bringing project management solutions to the construction industry. In 2015 Cesar stepped down from his VP role and now acts as technical advisor whenever his expertise is required. Cesar is also the host of Remontech’s Construction Industry Podcast.